Are you ready to incorporate project-based learning into your curriculum? 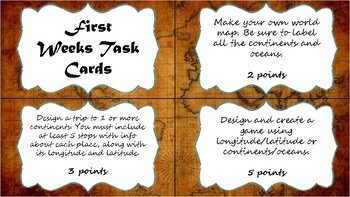 These are the extension project task cards I use for the beginning of the school year. They include projects for geography, world religions, and more!! Each project is given a point value based on the depth of the project. Includes some blank task cards for your use.